Hawaii Electric Light announces construction work along Banyan Drive between Banyan Way and Lihiwai Street in Hilo from October 10 to December 29, 2017 from 7:30 a.m. to 4:30 p.m. weekdays, excluding holidays. Contractors will begin excavation work on October 10. Work will be performed off the road but occasional partial lane closures may be necessary while heavy equipment is moved. Motorists are asked to slow down and drive with caution in the construction area. This work is part of the company’s efforts to upgrade underground infrastructure and improve service reliability for customers. The Hawai‘i County Department of Parks and Recreation is pleased to invite seniors 55 years and older to attend this year’s Akamai Living Fairs, to be held in Hilo and Kona. These free events will feature health screenings, seminars, vendors, entertainment and door prizes. The Akamai Living Fairs are co-sponsored by the County of Hawai‘i Department of Parks and Recreation’s Elderly Activities Division and HMSA. Hilo: Edith Kanakaʻole Multipurpose Stadium on Friday, October 20, 9:30 a.m.-12:30 p.m.
Kailua-Kona: West Hawaiʻi Civic Center on Friday, November 3, 9:30 a.m.-12:30 p.m.
For more information, please call Margaret Yafuso at 966-5801. Rooted in local values with an eye always to the future, Suisan celebrates 110 years in business. To commemorate this milestone, Suisan is hosting a birthday event at its fish market on Lihiwai Street on Thursday, September 7 from 11 a.m. to 2 p.m. featuring Hilo’s own Top Chef finalist, Sheldon Simeon. Simeon has five creative poke combinations that are available for this one day only, including Singulaw, ahi garnished with fried pork belly, coconut vinegar and coconut milk; Da Lox, salmon three ways mixed with cream cheese, onion, ikura and dill; and Bam Bam, chunks of tofu and watermelon seasoned with nuoc cham and a mixture of fresh herbs, peanuts and toasted sesame seeds. The birthday event also features pop-ups by local chefs from Seaside Restaurant, Ponds Hilo and Cousins Seafood & Bento, who will prepare samples using an array of products Suisan distributes. Throughout the month of September, Suisan will give away 110 poke bowls via social media contests. Suisan celebrates 50 years in business. Photo taken in 1957 at the site where Suisan’s fish auction was once held. Founded on September 7, 1907, Suisan has grown from a fish market cooperative to Hawaii Island’s premier broadline food distributor. Over the last 110 years, Suisan faced many challenges including two tsunamis and having its property seized in World War II and its principal, Kamezo Matsuno, sent to an internment camp. More recently, Suisan suffered a fire that claimed its main office and warehouse in 2014. Despite these setbacks, Suisan has moved forward and thrives. Its growth has been predicated upon anticipating community demand. In the 1950s, Suisan expanded its product mix to include frozen food. In the 1970s, it established a Kona warehouse and office to better serve its customers. Today, Suisan employs 185 and has a fleet of 33 refrigerated trucks. It inventories more than 5,000 products and serves more than 1,000 wholesale customers including restaurants, schools, healthcare and government facilities, resorts and institutions islandwide. Hospice of Hilo will be hosting a safeTALK Suicide Prevention Training sponsored by the State of Hawaii Department of Health, on Saturday, September 30 from noon-4:00pm at the organization’s Community Building located at 1011 Waiānuenue Avenue, Hilo. This half-day workshop will prepare participants to recognize and support a person with thoughts of suicide. Attendees will become safeTALK-trained suicide alert helpers, which will allow them to move beyond the common tendency to dismiss or avoid talking about suicide. This training will provide instruction in how to properly connect a person with thoughts of suicide to first aid and intervention caregivers. A certified safeTALK instructor along with the support of Hospice Spiritual Counselor, Rebekah Bernard, will facilitate the workshop. Suicide was the most common cause of fatal injuries among Hawaii residents over the 5-year period 2010-2014, accounting for over one-quarter (908, or 26%) of all fatal injuries, according to State of Hawaii Department of Health data. Suicide was also the leading cause of injury-related death for most age groups — all but the very young and the very old out-pacing car crashes, homicide, unintentional poisoning and drowning. Health data estimates one person dies by suicide in Hawaii every two days. The He Hali’a Aloha no Lili’uokalani Festival, Queen’s Birthday Celebration, will take place on Saturday, September 9, from 10 a.m. to 4 p.m. at Lili’uokalani Gardens Park in Hilo. This year’s Festival to honor Hawai’i’s last reigning monarch is being held in conjunction with the Centennial Celebration of Lili’uokalani Gardens, and is being coordinated and sponsored in part by the Friends of Lili’uokalani Gardens. The day-long festival includes music, hula, arts, crafts, food, demonstrations, children’s games and cultural activities. Entertainment will include Darlene Ahuna, Taishoji Taiko, Komakakino with Halau Ha’akea a Kala, the Waiākea Ukulele Band, Tahitian by Merahi Productions, with the finale featuring Mark Yamanaka, recipient of multiple Na Hoku Hanohano Awards. Hula is the major focus of the Festival and each year, festivities are kicked off with a mass hula featuring more than 250 hula dancers throughout the Park performing a traditional mele. Dancers from throughout the State will dance together, symbolizing the Queen’s vision of sharing Hawai’ian culture with the rest of the world. During this performance, more than 50,000 orchid blossoms will rain from the skies above the park. Activities include Japanese Tea Ceremony, a Jumping Castle and Water slide, Coconut Weaving, Hawai’ian Printing & Stamp Pads, Hawai’ian Herbs, Hawai’ian crafts, and children’s coloring activities designed to provide historical information about the garden. Community and educational organizations will be on hand to offer information on available services for families on Hawai‘i Island. A bountiful variety of local foods will be available for purchase. Admission to the Festival is free of charge. 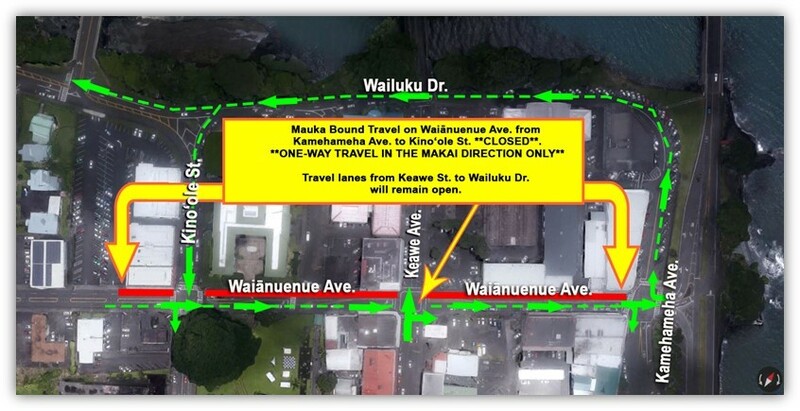 Additional public parking is available at the Afook Chinen Civic Auditorium and Hawai’i County Mass Transit will be providing free shuttle service from 9 a.m. to 4 p.m. The County of Hawai’i is proud to partner with the Queen Lili’uokalani Trust, Pacific Radio Group, Hilo Fire Extinguishers, Blue Hawai’ian Helicopters, Grand Naniloa Hotel, KWXX, Honolulu Skylark Productions CJ Promotions, the Hawai’i Tropical Flowers Council and the Friends of Lili’uokalani Gardens to present this cultural experience to residents and visitors. For more information, please call the Department of Parks and Recreation’s Culture and Education Section at 961-8706. The Pacific International Space Center for Exploration Systems (PISCES) — a state-funded aerospace agency — in partnership with Hawaii Community College has launched a new credit-based internship program to offer college students high-tech learning opportunities while earning classroom credit. Today (August 22), from 8:00 a.m. to 10:00 a.m. South Hilo Community Police Officers partnered with Zippy’s Restaurant in Hilo for Coffee with a Cop. The event allows members of the public to speak to officers in a relaxed setting, building partnerships between law enforcement and the community. Throughout the morning officers spoke to over 20 citizens on a variety of topics. Pictured are officers with the South Hilo Community Police Unit, Neighborhood Watch Liaison-Bobbye St. Ambrogio, along with Zippy’s employees at Zippy’s Restaurant. The 2nd Annual National Coffee with a Cop Day is (October 4). Officers with the Hawaiʻi Police Department will be at the Puainako Starbucks in Hilo from 8:00 a.m. to 10:00 a.m. that day.